This page has been created to give an overview of the current (May 2014) Twin Peaks HMA. This is not a formal range report but information and notations that are pertinent at this time. LOCATION: The Twin Peaks Herd Management Area is located approximately 25 miles northeast of Susanville, CA. Highway 395 borders the HMA to the west. The Herd Management Area is located in both Lassen County, CA and Washoe County, NV. TOPOGRAPHY/VEGETATION: The terrain in this HMA consists of large, flat valley bottoms bisected by steep mountains. Dominant vegetation includes sagebrush, bitterbrush, bluebunch, needlegrass and squirreltail. WILDLIFE: Wildlife occurring in the area includes mule deer, quail, pronghorn antelope, and sage grouse. HISTORY: Some of the original horses in this area descended from Spanish Stock. Today the herd is descended from US Army Cavalry remounts released prior to and during World War I, and historic draft and riding ranching stock. Burros likely originated from historic sheep operations in the area. Because Twin Peaks HMA has both horses and burros, it also is one of the few HMAs that has occasional mules. As you can see by comparing each map, a great deal of the area of Twin Peaks burned. There was a removal of Twin Peaks wild horses and burros in 2010. 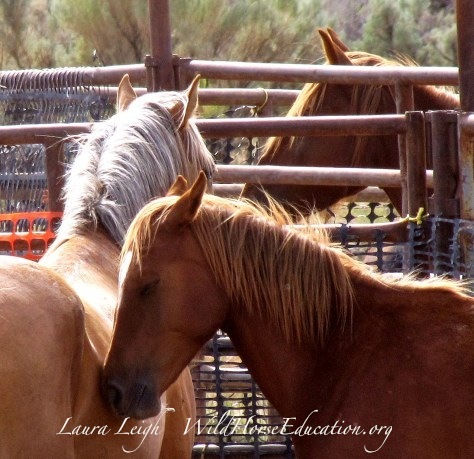 The removal was a massive sweep taking 1639 wild horses and 160 burros. This removal caused nearly half of the existing population of wild horses left in the state of California to be permanently removed from the range. The removal was challenged in court by IDA and Barbara Clark of DreamCatchers Sanctuary. 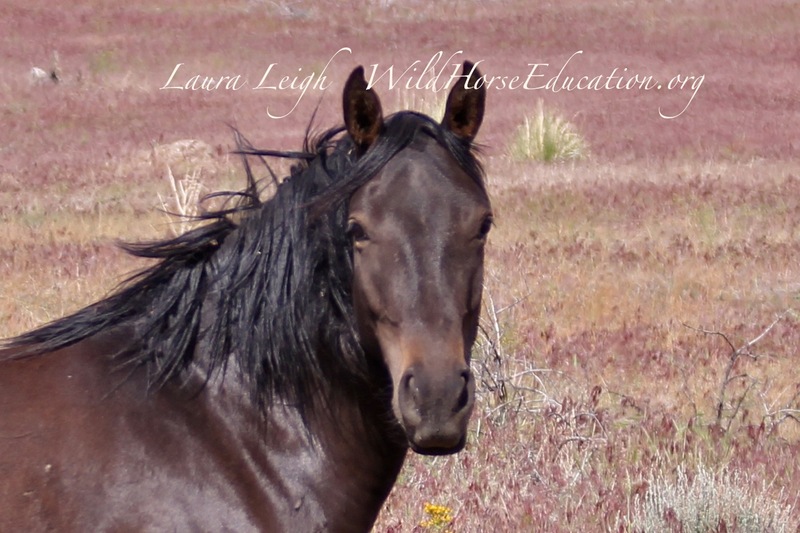 The case argued that the removal was unjustified and wild horses should be put back. The case remained active, going up to the Ninth Circuit, until spring of 2014 when it was defeated. In 2012 the BLM prepared a new Environmental Assessment (EA), the precursor to a removal. The EA used the fire as an “emergency measure” to continue to remove wild horses, although continuing to allow private livestock to graze (limited used for two years post fire). 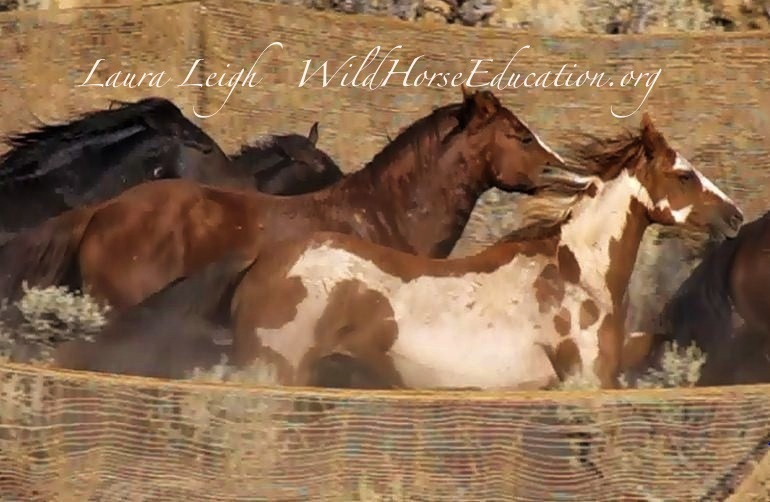 The 2012 EA plan for wild horses: “Wild Horse and Burro Emergency Gather and Removal: Remove 663 wild horses and 203 burros from the Twin Peaks HMA, and 79 horses from the Buckhorn HMA to prevent detrimental loss of horse health and body condition. All of the horses and 80% of the burros to be removed are currently residing within the burned area or within a 5-mile buffer of the fire perimeter. In 2014 we find ourselves in a situation where impact from drought has been felt for the last three years. 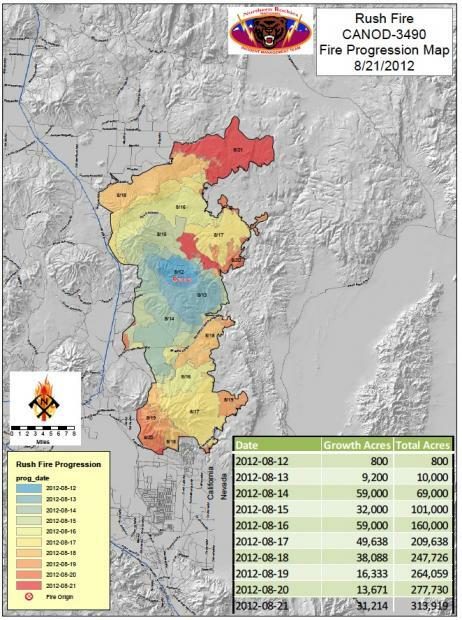 Both fire and drought are part of the natural cycle of these areas. However fence lines and other man-made obstacles are not. Another obstacle to full range recovery is livestock grazing. Meetings over the last two years that cover Northern CA/NV continued pressure is being placed on BLM to remove wild horses and reduce any restrictions to livestock. One of the last public meetings of the “Experimental Stewardship” Committee had a former county commissioner say she would shoot any wild horse that went onto her property. BLM currently faces an issue with holding space limits at their facilities. They have put out new solicitations for short term contracts. 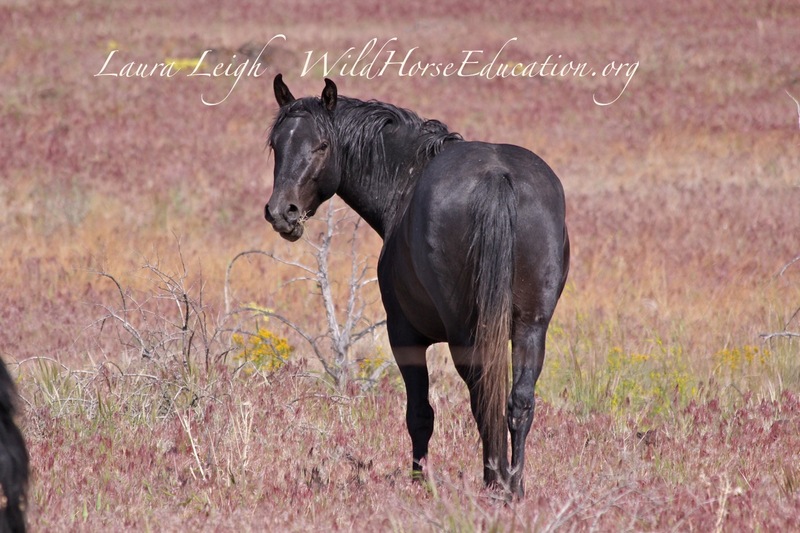 At this time (from our observations) BLM can squeeze in about 1000 wild horses into facilities as of Spring 2014. Competition is fierce to obtain those spots in several districts. 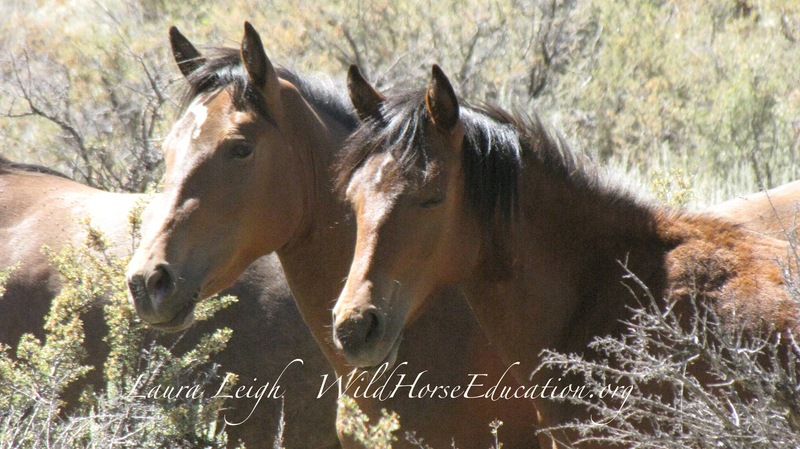 As the litigation that was filed in 2010 is no longer active, Twin Peaks is an area Wild Horse Education is watching. We have observed a trend that areas active in court remain off the roundup schedule or are removed shortly after inclusion. Twin Peaks may be a place that appears on a schedule. Our observations showed wild horses in good body condition (but no foals) and the range “doing what it does” as it comes back to life. As of this time we are planning a return visit and will publish a full report at that time.